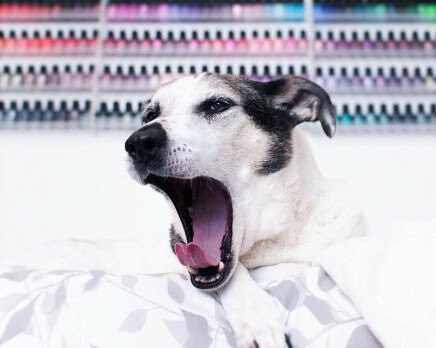 Polish Hound: Recent Accent Nails, Edition #2! Here is another installment of some recent accent nails I've worn lately! The base here is Essie- Maximillian Strasse Her with Orly- Fifty Four on the index and middle nails, and China Glaze- Fairy Dust on the ring and pinkie nails. This is LVX- Midori with Essie- Demure Vixen on the middle nail and Illamasqua- Nudge on the ring finger nail. I layered Zoya- Opal over Essie- Come Here!. The base here is Illamasqua- Poke. Nubar- White Polka Dot is on the middle finger nail, and Butter London- Knackered is layered over the ring finger nail. The insane, bright green is Illamasqua- Nurture. I wore another from the Rubber Brights collection on my thumb: Illamasqua- Optimist.